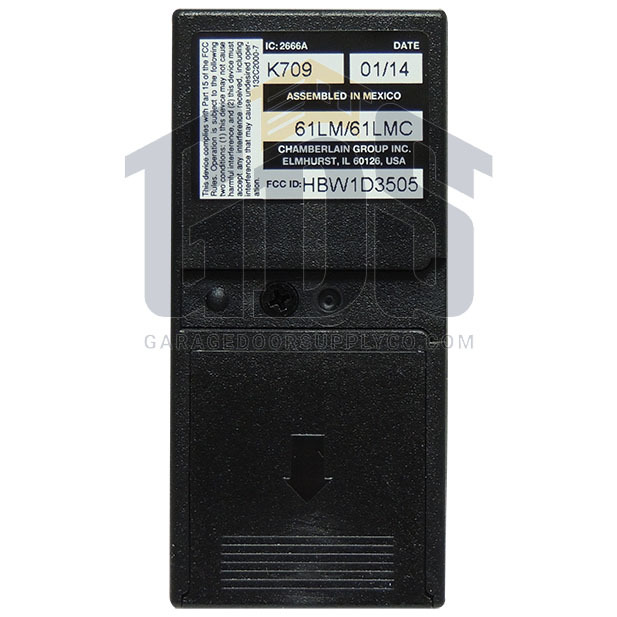 One button remote for Liftmaster/Chamberlain/Sears Craftsman Garage door openers Only Compatible with Lifitmaster, Chamberlain or Sears Craftsman openers made before 1995 either with DIP switches or with a yellow, white or gray learn button. 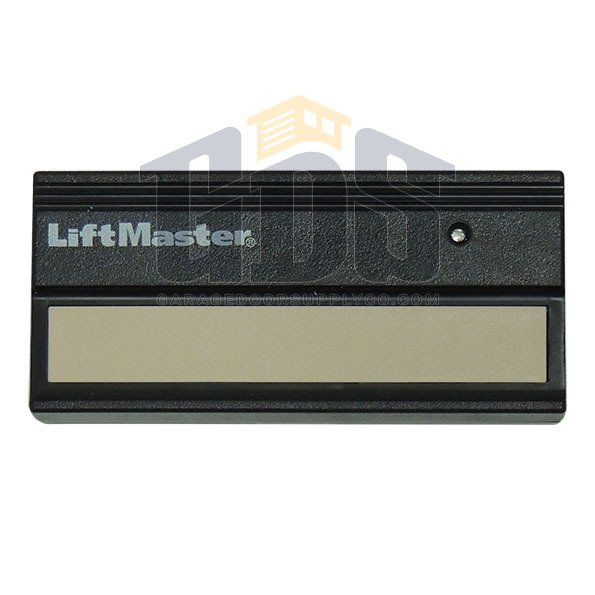 The LiftMaster 61LM single-button remote control for garage door openers from Garage Door Supply Company is compatible with older LiftMaster, Craftsman and Chamberlain garage door operator model with dip switches, or with yellow, gray or white learn buttons. This 61LM LiftMaster remote control is for use with pre-1995 model LiftMaster, Craftsman and Chamberlain garage door operators. 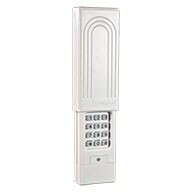 The replacement remote can be programmed using more than 19,000 available digital codes for 9-position trinary dip switches. A car visor clip is attached to this remote to allow you to control open/shut/stop functions on your garage door opener from inside your vehicle. A red LED light on the transmitter signals when a transmission is sent and tracks battery strength. 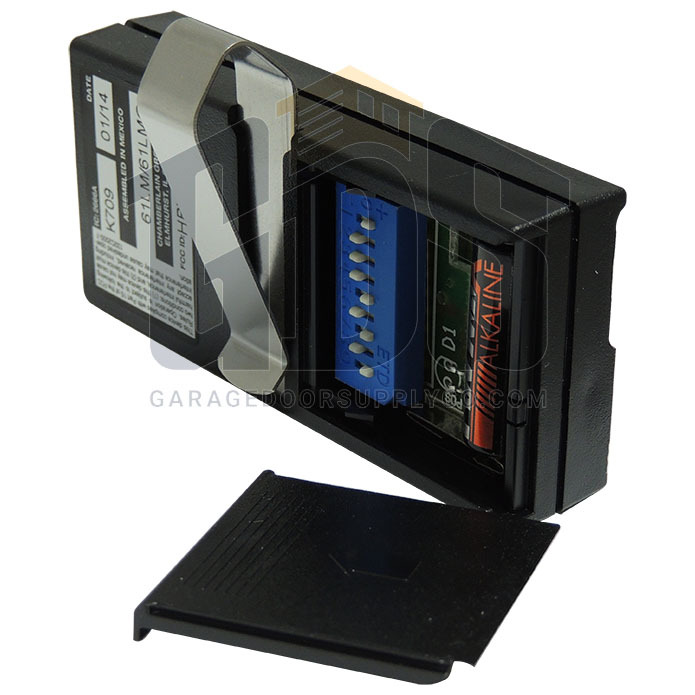 A 12-volt lithium ion battery is included with your purchase from GarageDoorSupplyCo.com. 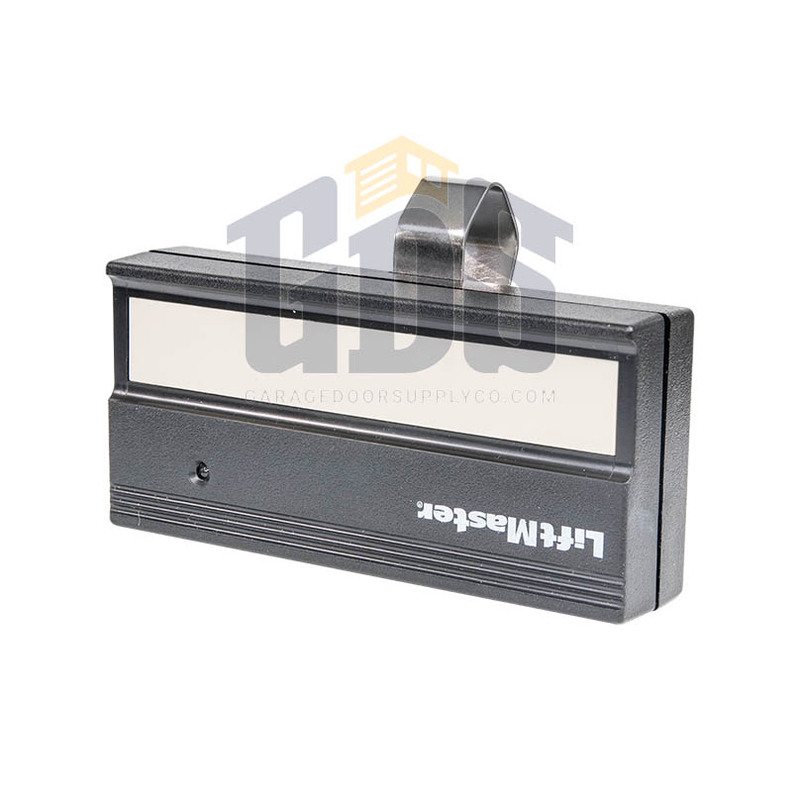 Compatible with older (pre-1995) LiftMaster, Craftsman and Chamberlain garage door openers. Bought this to replace a very old Sears garage door opener. Maybe from the 70's with dip switches. Set the dip switches to match and it works great no problems. Works great. Instructions on how to program were simple and easy to follow.